Company attributes recognition to the leading-edge technology behind its innovative Encore™ bed for long-term care. Span-America Medical Systems is a finalist in three awards categories of the American Business Awards, and has separately won a creativity award in the Telly Awards. “The recognition validates our commitment to create both products and marketing tools that meet the needs of our healthcare provider customers as well as our distribution partners." Span-America Medical Systems, Inc. is pleased to announce that an online animated video for its premium long-term care bed – the Encore™ – has earned an artistic award in the 35th annual Telly Awards, which recognizes distinction in creative work. In a separate contest, Encore™ marketing campaign components have been selected as finalists in three categories of the American Business Awards, also known as the Stevies. The campaign features a virtual 3D bed, online videos, an interactive web-based configurator app, and a 12-page brochure. These integrated media initiatives headlined the introduction of Span-America’s line of state-of-the-art beds for the healthcare industry following its acquisition of bed and furniture supplier, MC Healthcare Products in Beamsville, Ontario, Canada. Best known as a leading innovator of therapeutic support surfaces for the long-term care sector, Span-America also markets a full line of pressure management and related products to other healthcare sectors including acute care, rehabilitation, home health, and hospice. The Telly Awards, founded in 1979, honor outstanding TV, web, video, and film programs, and commercials. Winners represent some of the best work of corporate marketing departments, advertising agencies, and production companies. The 11th annual ABA Stevies Awards saw a record number of entries from businesses and organizations of all sizes this year. 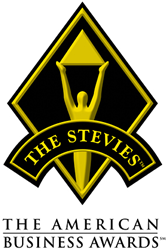 The Stevies recognize outstanding achievement in a wide variety of categories including marketing, public relations, information technology, and website design. Finalists were chosen from more than 3,300 nominations by a panel of 150 business professionals nationwide. Past winners have included familiar brands such as AT&T, General Motors, Delta Airlines, Hewlett-Packard, and Geico. “The campaign perfectly reflects the quality and innovation of the Encore™ bed, which was designed to be the premier entry in Span’s bed series,” says Rob Bentley, Span-America Marketing Manager for beds and furniture. Bentley says that the new bed’s best-in-class features – including GlideAlign™ retractable deck technology, Smart Stop™ safety programming, and ReadyWide™ integrated width expansion – clearly warranted a comprehensive marketing program. Span-America manufactures and markets a comprehensive selection of pressure management products, beds, and furniture for the medical market, including PressureGuard®, Geo-Mattress®, Geo-Matt®, Span+Aids®, Selan® and MC Healthcare products. The company also supplies custom foam and packaging products to the consumer and industrial markets. Span-America's stock is traded on the NASDAQ Stock Market's National Market under the symbol "SPAN."